Those on the political left wouldn't be fighting to the death over the Brett Kavanaugh confirmation if they were as committed to the Constitution and the rule of law as conservatives are. All of their phony hand-wringing is particularly ironic given their cynical attitude toward the Supreme Court's role. They are pulling out all the stops to delay -- and thus defeat -- the confirmation because they are hysterically obsessed foremost with preserving the court's judicially manufactured precedent in Roe v. Wade of a constitutional right to abortion. There is nothing in the Constitution even remotely hinting of such a federally protected right, but the left is as adamant about protecting it as you would expect a mother to be about protecting the health and welfare of her children. Forget leftists' twisted views on abortion. Just look at their view of the high court. It is not an institution dedicated to upholding the Constitution and rule of law above all else. Its job is not to interpret laws and to review legislation to ensure that it conforms to the Constitution as written and as originally understood. It must be an unelected super-legislature that makes laws to advance the leftist policy agenda when the democratically elected Congress fails to pass laws promoting that agenda. Interestingly, Judge Kavanaugh has not made clear that he would vote to repeal Roe. He has insisted that he values highly the principle of stare decisis -- that previous decisions of the court, especially long-standing ones, should not be lightly overturned. Leftists will scratch, claw, bite and kick to block all originalist Supreme Court nominees because they can't be relied on to protect the leftist judicial legislation. And they dare lecture us on threats to the integrity of "our democracy"? They must protect us from ogres such as Brett Kavanaugh, who has spent his entire professional life honoring the integrity of the Constitution. They don't care a whit about the truth or falsity of the allegations made against Kavanaugh, and this is obvious not just from their daily displays of disingenuousness and gross abuse of this confirmation process -- including grotesquely exploiting and manipulating Christine Blasey Ford's story about Kavanaugh's sexually assaulting her -- but in their overall cynical philosophy about America's highest court and its Constitution. 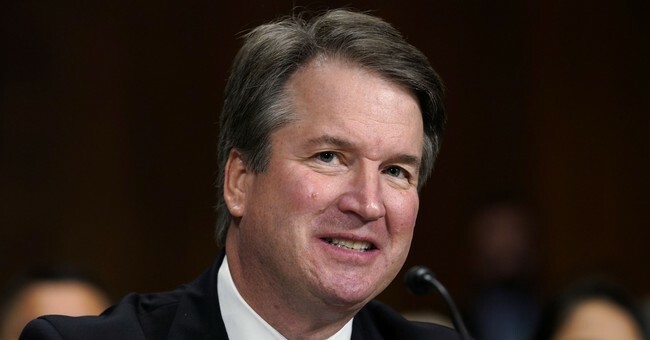 They tell us they want further investigations of Kavanaugh when their real aim is to defeat the confirmation through endless delays and flagrant abuse of their advise and consent role. The Democrats, almost to a person, have pre-announced that they will vote against confirmation, so please don't insult our intelligence by suggesting they're only extending the investigation for fact-finding purposes. The Democrats' opposition to Kavanaugh has nothing to do with Kavanaugh and has everything to do with their lust for power through the judicial branch that they can't reliably acquire through democratic processes. As usual, they claim they have the moral high ground when they are making a mockery of morality and the rule of law. But I'll give them one thing: They are formidable and tireless warriors. And until the GOP recognizes this and unites against them with the same degree of ferocity, determination and energy, we will continue taking it on the chin.